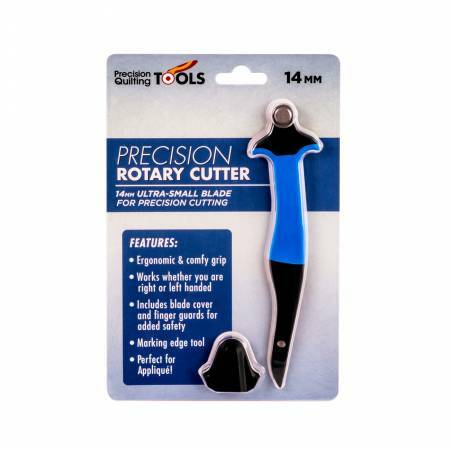 This 14mm Precision Rotary Cutter includes a 14mm Ultra-Small blade for Precision Cutting. Ergonomic and comfy grip. Works whether you are right or left handed. Includes blade cover and finger guards for added safety. Marking edge tool. Perfect for Appliqué!